The Honeywell Analytics Searchline Excel is a hazardous area certified flammable infrared open path gas detector. 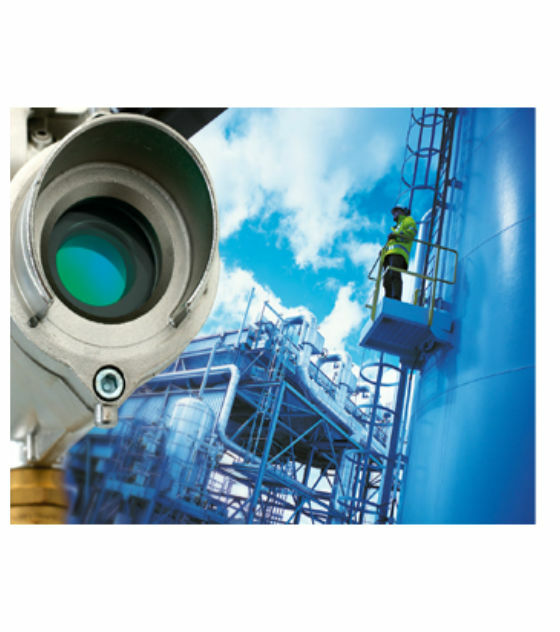 Open path infrared gas detectors are ideal for applications in the harshest environments where reliability and performance are of upmost importance. Excel provides the widest area of coverage, very high speed of response and no unseen failure modes. Excel comprises of a Transmitter and Receiver that are mounted at each end of the path to be monitored. Three versions are available: Short Range (5-40m), Medium Range (40-120m) and Long Range (120-200m). Hazardous area approvals include European (ATEX), North Amercian (UL) and Canadian (CSA). Receiver output is 3 wire 4-20mA selectable sink or source. Please note that Searchline Excel CSA covers on Methane-calibrate versions. The DX termination unit (UL only) provides convenient mounting and field wiring connections as well as an intrinsically safe connection socket for the Handheld Interrogator. Additionally, the DX termination unit (UL only) allows for a multi drop Modbus RS485 interface. The Handheld Interrogator is a commissioning / maintenance tool and is certified for use in hazardous areas. For the direct connection to the Excel system, the SHC protection device module must be used. Commissioning of the system is performed using an alignment kit that includes a handheld interrogator, telescope, carry case and test filters. Other accessories include a deluge shield/sunshade, gassing cell, and handheld interrogator protection device. A calibration has to be ordered with every Searchline Excel. 02104-N-5012	Excel line-of-sight gas detection system, short range (5 to 40m), 4 to 20mA (source) and Modbus outputs, UL, fully wired with flexible conduit, electro polished 316SS. Includes Tx, Rx, DX100 termination unit and junction box, 3/4"NPT cable entries, 316SS mounting plates, brackets, hardware and sunshade finished with white painted finish. 02104-N-5042	Excel line-of-sight gas detection system, short range (5 to 40m), 4 to 20mA (sink) and Modbus outputs, UL, fully wired with flexible conduit, electro polished 316SS. Includes Tx, Rx, DX100 termination unit and junction box, 3/4"NPT cable entries, 316SS mounting plates, brackets, hardware and sunshade finished with white painted finish. 02104-N-6012	Excel line-of-sight gas detection system, short range (5 to 40m), 4 to 20mA (source) and Modbus outputs, FM/CSA, fully wired with flexible conduit, electro polished 316SS. Includes Tx, Rx, DX100 termination unit and junction box, 3/4"NPT cable entries, 316SS mounting plates, brackets, hardware and sunshade finished with white painted finish. 02104-N-6042	Excel line-of-sight gas detection system, short range (5 to 40m), 4 to 20mA (sink) and Modbus outputs, FM/CSA, fully wired with flexible conduit, electro polished 316SS. Includes Tx, Rx, DX100 termination unit and junction box, 3/4"NPT cable entries, 316SS mounting plates, brackets, hardware and sunshade finished with white painted finish. 02104-N-7012	Excel line-of-sight gas detection system, short range (5 to 40m), 4 to 20mA (source) and Modbus outputs, INMETRO, fully wired with flexible conduit, electro polished 316SS. Includes Tx, Rx, DX100 termination unit and junction box, 3/4"NPT cable entries, 316SS mounting plates, brackets, hardware and sunshade finished with white painted finish. 02104-N-7042	Excel line-of-sight gas detection system, short range (5 to 40m), 4 to 20mA (sink) and Modbus outputs, INMETRO, fully wired with flexible conduit, electro polished 316SS. Includes Tx, Rx, DX100 termination unit and junction box, 3/4"NPT cable entries, 316SS mounting plates, brackets, hardware and sunshade finished with white painted finish. 02104-N-NSNM	Excel line-of-sight gas detection system. Short range (5 to 40m), 4 to 20mA output, ATEX/IECEx, DNV, fully wired with flexible conduit, electro polished 316SS. Includes Tx, Rx, 316SS maritime mounting plates, brackets and hardware. Order XNX and junction boxes to be separately. 02104-N-5022	Excel line-of-sight gas detection system, medium range (40 to 120m), 4 to 20mA (source) and Modbus outputs, UL, fully wired with flexible conduit, electro polished 316SS. Includes Tx, Rx, DX100 termination unit and junction box, 3/4"NPT cable entries, 316SS mounting plates, brackets, hardware and sunshade finished with white painted finish. 02104-N-5052	Excel line-of-sight gas detection system, medium range (40 to 120m), 4 to 20mA (sink) and Modbus outputs, UL, fully wired with flexible conduit, electro polished 316SS. Includes Tx, Rx, DX100 termination unit and junction box, 3/4"NPT cable entries, 316SS mounting plates, brackets, hardware and sunshade finished with white painted finish. 02104-N-6022	Excel line-of-sight gas detection system, medium range (40 to 120m), 4 to 20mA (source) and Modbus outputs, FM/CSA, fully wired with flexible conduit, electro polished 316SS. Includes Tx, Rx, DX100 termination unit and junction box, 3/4"NPT cable entries, 316SS mounting plates, brackets, hardware and sunshade finished with white painted finish. 02104-N-6052	Excel line-of-sight gas detection system, medium range (40 to 120m), 4 to 20mA (sink) and Modbus outputs, FM/CSA, fully wired with flexible conduit, electro polished 316SS. Includes Tx, Rx, DX100 termination unit and junction box, 3/4"NPT cable entries, 316SS mounting plates, brackets, hardware and sunshade finished with white painted finish. 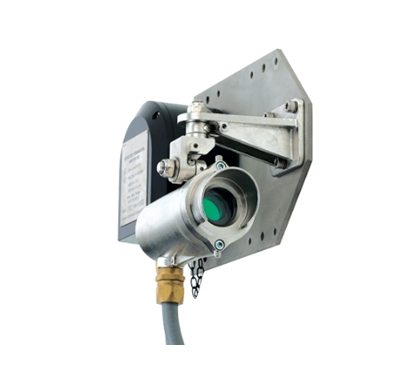 02104-N-7022	Excel line-of-sight gas detection system, short range (5 to 40m), 4 to 20mA (source) and Modbus outputs, INMETRO, fully wired with flexible conduit, electro polished 316SS. Includes Tx, Rx, DX100 termination unit and junction box, 3/4"NPT cable entries, 316SS mounting plates, brackets, hardware and sunshade finished with white painted finish. 02104-N-7052	Excel line-of-sight gas detection system, short range (5 to 40m), 4 to 20mA (sink) and Modbus outputs, INMETRO, fully wired with flexible conduit, electro polished 316SS. Includes Tx, Rx, DX100 termination unit and junction box, 3/4"NPT cable entries, 316SS mounting plates, brackets, hardware and sunshade finished with white painted finish. 02104-N-5032	Excel line-of-sight gas detection system, long range (120 to 200m), 4 to 20mA (source) and Modbus outputs, UL, fully wired with flexible conduit, electro polished 316SS. Includes Tx, Rx, DX100 termination unit and junction box, 3/4"NPT cable entries, 316SS mounting plates, brackets, hardware and sunshade finished with white painted finish. 02104-N-5062	Excel line-of-sight gas detection system, long range (120 to 200m), 4 to 20mA (sink) and Modbus outputs, UL, fully wired with flexible conduit, electro polished 316SS. Includes Tx, Rx, DX100 termination unit and junction box, 3/4"NPT cable entries, 316SS mounting plates, brackets, hardware and sunshade finished with white painted finish. 02104-N-6032	Excel line-of-sight gas detection system, long range (120 to 200m), 4 to 20mA (source) and Modbus outputs, FM/CSA, fully wired with flexible conduit, electro polished 316SS. Includes Tx, Rx, DX100 termination unit and junction box, 3/4"NPT cable entries, 316SS mounting plates, brackets, hardware and sunshade finished with white painted finish. 02104-N-6062	Excel line-of-sight gas detection system, long range (120 to 200m), 4 to 20mA (sink) and Modbus outputs, FM/CSA, fully wired with flexible conduit, electro polished 316SS. Includes Tx, Rx, DX100 termination unit and junction box, 3/4"NPT cable entries, 316SS mounting plates, brackets, hardware and sunshade finished with white painted finish. 02104-N-7032	Excel line-of-sight gas detection system, long range (120 to 200m), 4 to 20mA (source) and Modbus outputs, INMETRO, fully wired with flexible conduit, electro polished 316SS. Includes Tx, Rx, DX100 termination unit and junction box, 3/4"NPT cable entries, 316SS mounting plates, brackets, hardware and sunshade finished with white painted finish. 02104-N-7062	Excel line-of-sight gas detection system, long range (120 to 200m), 4 to 20mA (sink) and Modbus outputs, INMETRO, fully wired with flexible conduit, electro polished 316SS. Includes Tx, Rx, DX100 termination unit and junction box, 3/4"NPT cable entries, 316SS mounting plates, brackets, hardware and sunshade finished with white painted finish.